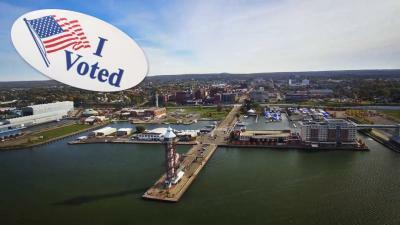 Erie, Pennsylvania became the star of a national circus following the 2016 presidential election. It was sparked by the 1,957 votes that made up the margin of victory in Erie County for Donald Trump in 2016. Journalists and pundits who had no connection to and little abiding interest in Erie parachuted into town to assess — what they saw as — a city and a region mired in despair and clinging to irrational fears about their lives now versus the way it used to be. But the story told about apathy, rage, and political isolation was unfamiliar to many of us who see this historical moment as a beginning rather than an end. You see, the truth about Our Erie is that its future is bright. Erie's population and economic boom was born of immigrants and refugees more than a century ago. The renaissance taking place here today is being written from the same script. The population of Erie County is young and motivated. More than 50 percent of the county's population is under the age of 45. These folks are entrepreneurial and spirited and when they don't find opportunity, they create it. They are attorneys and restaurateurs, they are tattoo artists and producers, they are brewers and librarians and the technological giants of their generation. They are teachers and artists and executives and they choose to make their lives in Erie, Pennsylvania. 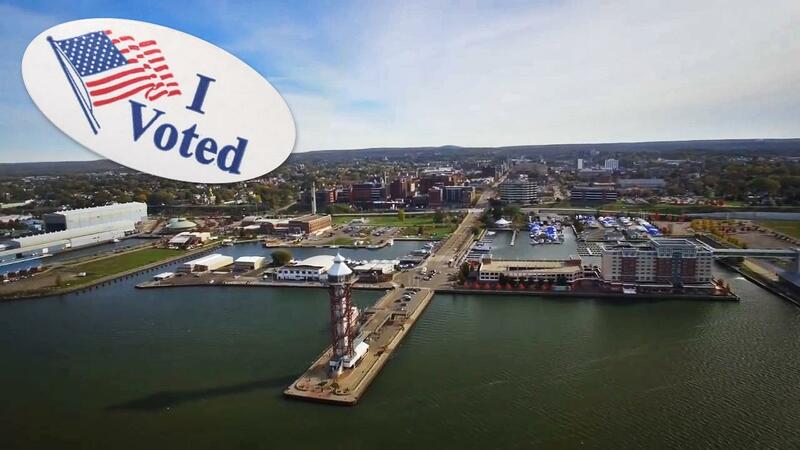 Today, the county population is more than 12 percent New American, the majority of whom live in the City of Erie where they comprise approximately 20 percent of residents in our urban core. They are Latin American, Asian, Malaysian, African, Middle Eastern, and Eastern European. But these broad categorizations don't do them justice because their stories are the stories of survival and renewal from places like Iraq, and Bhutan, and Somalia, and Eritrea, and Kosovo, among many others. They've survived war and famine and fear, and their tested fortitude ensures that they will succeed. They are our neighbors and coworkers, and our brothers and sisters in the fight for Our Erie. Our New Americans are starting businesses and supporting extended families and sending their children to college. They are living the American Dream that our Italian, and Polish, and Russian, and Irish ancestors came here in search of in generations past. Their success and the success of small business in this community is a window into the success and pending success of big business as well. Sure it looks different than it did a generation ago, but Our Erie is a work in progress. If you only judged it at its surface, you'd be quick to assume that Erie's old industrial corridors like 12th Street between Greengarden Boulevard and Sassafras Street were fragments of a bygone era. But those buildings house nearly 70 businesses, they employ more than 1,000 people, and they contribute more than $200 million to the local economy. This is the truth about Erie. But if you only look at the surface, you won't see the fires of the forge or the transformation of old industries into new economies. So it's easy for bombastic politicians like Donald Trump and Mike Kelly to spin a dire narrative based in fear instead of hope because when they swing through Erie, they only see what's on the surface. They don't know Our Erie. That's why it's time for a change in representation. Erie County was unified in Pennsylvania's 16th Congressional District by the Supreme Court of Pennsylvania, and now it's time that we speak with one voice and elect candidates who represent Erie in Washington D.C. It's time to elect Ron DiNicola to Congress, and to send Senator Bob Casey back to Washington because together they will protect the rights of working people, together they will stand up for the rights of New Americans, and together they will reinvest in our industry and our infrastructure. Together they will work for and defend Our Erie because they know Our Erie. Jim Wertz is a contributing editor to the Erie Reader and the Chairman of the Erie County Democratic Party. He can be reached at jWertz@eriereader.com, and you can follow him on Twitter @jim_wertz.